I would say that I’m a pretty casual fan of Soul Calibur. I’ve played them all, racking up tons of hours in each game, and still currently own Soul Calibur IV. When Soul Calibur V came from Gamefly, I was pretty excited to check it out. After playing for a couple hours and completing the story mode, it’s safe to say that the soul still burns. Visuals in the SC games have always been really nice, and V is no different. Characters are nicely detailed, and the background environments have some cool things going on. I actually almost lost a match once just because I was checking out the background. 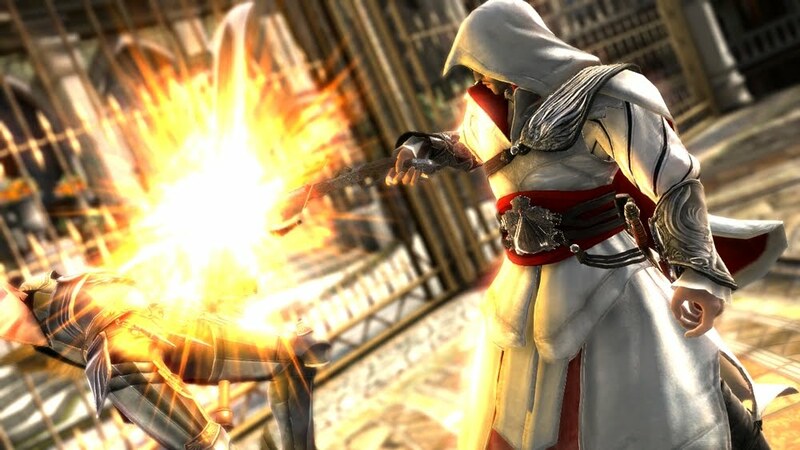 There’s only one special character this time around, but it’s Ezio so you can’t go wrong with him. In a weird way he fits the SC universe very nicely. 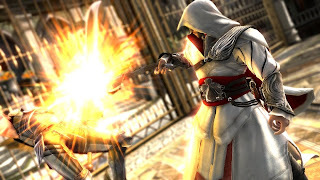 He’s got some awesome attacks as well as speed, but you’ll have to get in close if you want to pull off his best moves. Online mode works pretty well, with 6 players being allowed in a lobby this time, and while you wait to play, you can watch the current fighters battle and chat with others if you like. 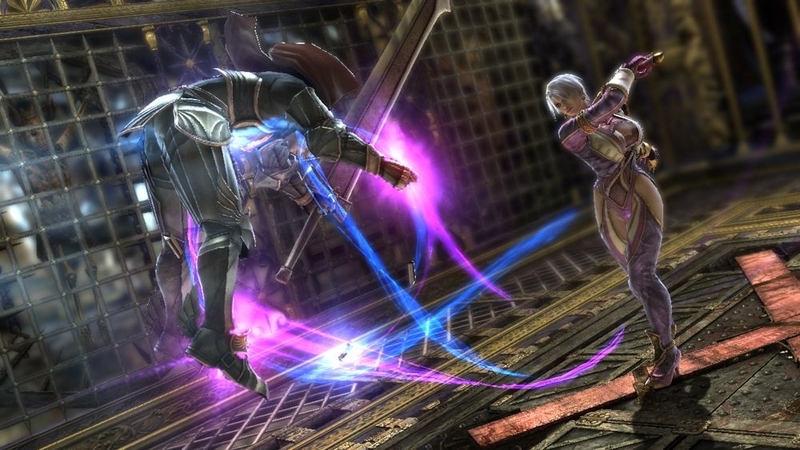 I’m going to play a bit more before my review, but so far Soul Calibur V is just as good as the previous versions.